Refrigerators, televisions, food processors and washing machines will be at least 7-10 percent cheaper starting July 28. With the goods and services tax (GST) for several white goods trimmed from 28 percent to 18 percent with effect from July 27, several consumer durable firms have slashed the prices of products. After a series of discussions, the GST Council on July 21 decided to slash rates of several products in the white goods category. This came as a surprise for consumers ahead of the festive season. Television sets (up to 27 inches), washing machines, refrigerators, geysers, microwave ovens, vacuum cleaners, food processors as well as lithium-ion batteries used in mobile phones will get cheaper. Home appliances firm Godrej Appliances has reduced the prices of refrigerators, washing machines, microwave ovens and chest freezers. 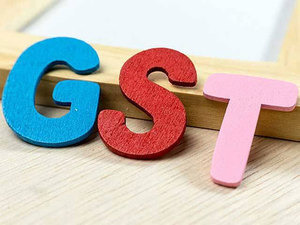 Kamal Nandi, Business Head and EVP, Godrej Appliances said the prices of the refrigerators, washing machines, microwave ovens and chest freezers will be reduced by 10 percent due to GST reduction. “This will provide a boost to sales ahead of the upcoming festive season, that will help Godrej Appliances surpass the target of 20 percent growth over the previous year,” he added. Another large appliances company LG Electronics has reduced prices of its refrigerators, washing machines as well as vacuum cleaners. The festive season accounts for the bulk of the demand for home appliances. Usually bought as a gift for friends and relatives or for self, festive season sales account for almost 40 percent of the annual revenues of the consumer durable firms. One of the country’s largest consumer electronics brand, Samsung India also said it will pass on the full benefits, which will be around 7.81 percent of GST rate reduction to consumers on all applicable products. The new prices will be applicable from July 27. Rajeev Bhutani, Senior Vice President, Consumer Electronics, Samsung India said this price cut will fuel the demand for consumer electronics products now and in the ensuing festival season. Air-conditioner, high-end televisions to get cheaper soon? 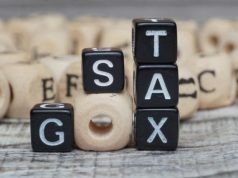 In a blog post Thursday, Finance Minister Arun Jaitley said the 28 percent category is being phased out. “Bulk of these items remaining in this category are only luxury items or sin goods. The other items outside the luxury–sin goods category are cement, air-conditioners, large screen televisions and a handful of others. Hopefully, with further expansion of revenues, these few items may also witness a change of category,” he had said. 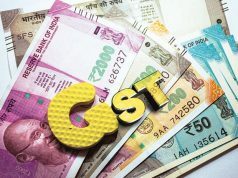 This will mean that in its upcoming meetings later this year the GST Council will look at a reduction at rates of products like air-conditioner as well as high-end LED television sets as well.